First post here! I don't have a whole lot to say about this font specifically except that any and every critique is welcome. Thanks! That's a fun and kind of retro face. Looks like you have put a lot of work into it already. A lot of curves are working nicely, plenty of beginner mistakes not being made. 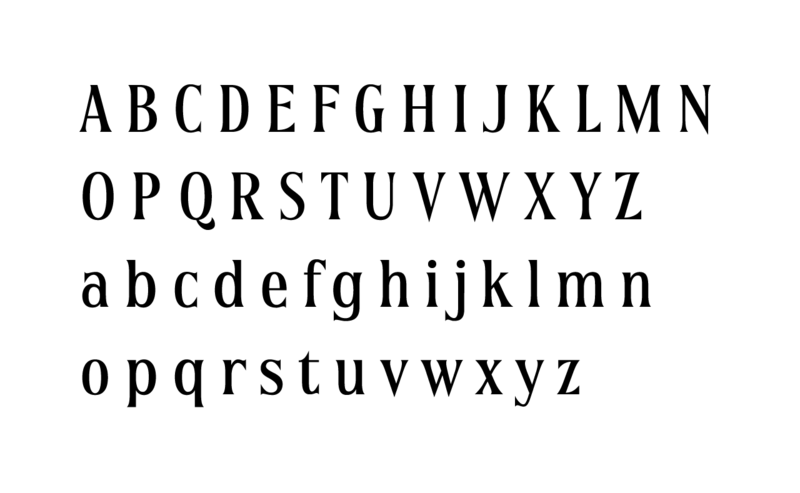 Do you think of this as a text face, or a display face? What size are you targeting as the sweet spot for the spacing? I ask this, because when I look at the design, I think of it as more of a display face. But the spacing seems optimized for more text sizes, and your example settings are also text sizes. If it is intended for text sizes, the thinnest bits are a bit thin. Totally fine for a display face. Crossbars (f, t) are thinner than the thinnest elements anywhere else, which seems odd to me. When it comes to the weight of various strokes, the big flares make some of the main strokes seem heavier. I think you need to increase the weight a bit on your curves to compensate. A curve is normally a tad thicker than a straight, but in this case I think it needs more. I am looking at bdpqg in particular when I write this. Seems like the overshoot of the rounds could be a bit more—both in the caps and lowercase. My thoughts: You’re overdoing it with the fishhook serifs. They work in some places like C, c, and a, but they’re overkill on e, r, and y. I’m on the fence about g and j where they look like like literal fishhooks. x needs optical adjustments to make the light stroke appear to pass through the heavy stroke without breaking. Your comma and quotes are too blunt, they need to end in a point like the letters. Q’s tail is a little too swashy for an otherwise stiff typeface. I agree with Thomas that the spacing is too loose for a display face.